Blogging today is more than just plain writing; it’s a business. And you have to be very careful how you deal with it as that would determine the traffic you get and that traffic in turn runs this business of yours. Getting the traffic once is not a big deal but keeping them engaged guarantees your success. 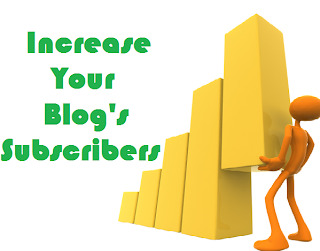 Subscription is one such service used to keep the people in touch with your blog. With good quality subscribers in hand, not only does your viewer-ship increases, but also your ranking. However, getting subscribers is not a straightforward task, you have to work really hard for that and without exactly knowing what to do, even harder. Quality is THE thing you should consider while publishing articles to your blog. If you’re providing the viewer with unique and quality articles, then even if you do not offer subscription, you’re getting the bookmark at least. Write on what’s trending currently and write well. You might have noticed on YouTube how every channel dude asks at the end or at the start of a video about subscribing to their channel. Crazy it sounds but you’ll be surprised to hear that those people would not have made half their current subscription if they didn’t do that. A viewer comes to your blog, he reads, likes and goes, but if you specifically ask him to subscribe he’ll surely do that as well. Don’t expect the people to scan your website for the subscription links, present it to them. Be clear and evident in doing that so as to let people know you offer subscriptions. Only then, you can think about getting subscribed. Tell the people what you can offer to them offer they subscribe. Tell them how you will keep them updated about their area of interest and how beneficial your newsletters will be to them. People don’t subscribe without knowing what the subscription would be about. The kind of people that we live with, would do anything provided you offer them incentives. Give away prizes or host certain contests regarding subscription and believe me, your subscriber count will boost up faster than normal. The social media is a great platform for sharing your content. Imagine if different users from different geographical locations share your content on their page, your content will indirectly reach several hundreds of other people which will be beneficial for you in many ways. Interacting with the people (mostly in the comments section) is one way of attracting them as in most of the cases, they will be tempted to join a conversation with you. And if you do it in a nice manner, they will surely like to keep in touch with you for later and will subscribe therefore. With knowing what to do, everything becomes simpler. These tips and tricks, as followed by many reputed websites, are aimed at getting you good quality subscribers and that too without much of an issue. Go try them out and see for yourself how your subscriber's count boosts up in a more-than-just-normal fashion.